George was born on September 30, 1925 on a farm in Nova Scotia, Canada to a Christian family. The family moved to San Francisco in 1934. He attended San Francisco Elementary and High Schools in the area, and graduated from San Francisco State University in 1949. Being raised in a Christian home, it’s difficult to say when exactly he became a Christian, but he made commitments around 1943-1949. George attended the First OPC in San Francisco from 1939-1983 and was ordained an elder on March 19, 1959. He served as an elder in San Francisco OPC from 1959 to 1983 then later transferred his membership to Berkeley OPC on August of that year. In 1995, George transferred his membership to Delta Oaks in Antioch. 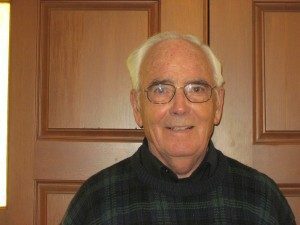 George serves as an elder to both the Berkeley and Antioch congregations since 1995.